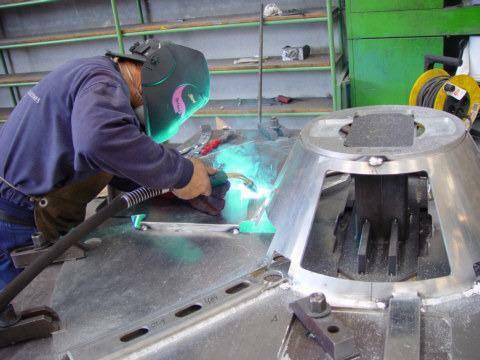 Heli Arc Fabrication is the one of the top companies providing excellent aluminium welding services in Perth. We supply wide range of quality aluminium fabricated products for residential areas, commercial spaces and for industries. The demand of aluminium welding Perth is increasing every day due to its durability and flexibility. It can be easily moulded to any shape by different fabrication processes such as cutting, welding, bending and with other machine preparations. In addition, it is also resistant to heat and rust so, aluminium fabrication Perth is suitable for indoor and outdoor construction. We have experienced and knowledgeable professionals who determine and offer high end services, provide Aluminium welding services Perth with ease thus gaining the trust and reputation from our customers, we also have the capability to deal with lightweight and complex projects. No matter how complex your project would be, our team strives hard in meeting the expectations of the client without compromise in quality. Our workshop is fully equipped with the modern tools and can easily handle all kinds of complex projects. Here, every project is handled with utmost care, ensuring that we are providing completely reliable solutions providing value for your money. Have been offering the services for the past 15 years to our clients. At Heli Arc Fabrication, we feel proud of the quality and diversity of our products and services to those we provide to our customers and also offer our Aluminium welding services in Perth from over 15 years in the aluminium fabrication sector, we have all industrial specialists to provide best services for our customers. Our team of fabricators is also capable of offering the fabrication services for commercial, Industrial and residential needs. Heli Arc Fabrication employs aluminium fabricators are well trained in the field and dedicated to offer the services reliable with delivering the best output. What ever the services it might be we apply same single- minded determination to deliver high quality products and services for the our customers. We don’t compromise on the quality products those are supplied to our customers and even our Aluminium Welding services in Perthare at high standards, we charge reasonable for all the services, this is the main reason the customers repeatedly hire our services to fulfill all their needs. The services will be carried out within the given time period and the delivered services will satisfy all the requirements of the customers. We provide a complete solution for Aluminium Welding in Perth, that ensures your project on budget and delivered on time! Call us to at 0451 144 785 and discuss about your next project with our friendly staff at heliarcfabrication@gmail.com and get a free quote. Call Heli Arc Fabrication on 0451144 785 for any fabrications needs!